Industrial submersible pumps work hard, pushing storm water, sewage, and effluent from loading docks, basements, sewage drains, and other low-lying areas to a place where it can be treated and/or disposed. The most vulnerable component in an industrial submersible pump is the electric motor, which is completely sealed in an oil-filled or air-filled enclosure to prevent the fluid material from entering. The impellers also need routine maintenance to effectively accommodate and convey solids of different sizes. At Pump Engineering, we boast a team of highly trained and experienced specialists who can repair different brands and models of industrial submersible pumps. 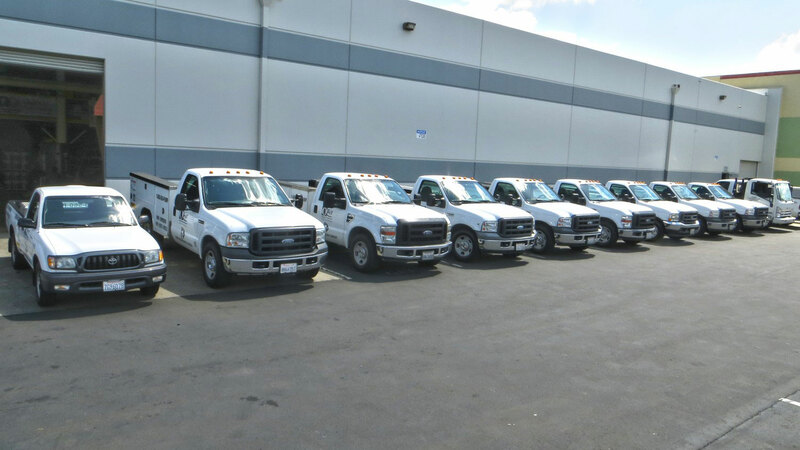 We are a leading industrial pump service and repair company in Santa Fe Springs, CA, with a highly skilled team of engineers who can address the repair and maintenance needs of our industrial, commercial, agricultural, and municipal clients. Our staff is trained in modern top pump repair technologies, and can provide solutions for all your submersible pump system problems. We are always prepared to meet the service needs of our diverse client base, from industrial to agricultural to municipal patrons. Our specialists can assess the existing equipment and offer recommendations as to whether it is more economical to replace or repair it. Scheduled maintenance and repair of submersible pumps is an everyday occurence in manufacturing and processing plants. Timely pump service can ensure that it runs efficiently for a long time without breaking down or requiring replacement. But with your submersible pump continually pumping waste water, it will eventually begin to wear down, at which point you will need pump repair or replacement services. At Pump Engineering Company, we deal with the repair and replacement of leading industrial submersible pump manufacturer brands. With access to genuine and interchangeable parts, we help to keep your pumps running smoothly and efficiently. Where the repair work may compromise the quality or efficiency of the system, we may recommend a replacement, or another solution that fits your budget. Sudden pump failure in your industrial plant can result in prolonged downtime and massive losses in production time and money. In some cases, the failure of a sewage or effluent pump can expose your business and community to health hazards and stiff penalties from the EPA. Pump Engineering specialists can help you prevent this by arriving promptly for any pump emergency services. We are available 24/7 to attend for any unforeseen pump failures that may disrupt your operations and put your business, employees, and environment at risk. Our specialists troubleshoot the pump system, analyze problems, replace worn down components, make repairs, and perform other scheduled service tasks that will eliminate the risk of extended downtime from major breakdowns. Pump Engineering Company can redesign, rebuild, or upgrade your industrial submersible pump to get it back in service as soon as possible, giving you the reliable service that our clients have become accustomed to. And with our scheduled maintenance programs, you can have peace of mind knowing that your submersible pump system will continue to run efficiently for a long time. We provide emergency service & repair. Simply call us, toll-free, @ 800.560.7867. We may also be contacted online using our online contact form. 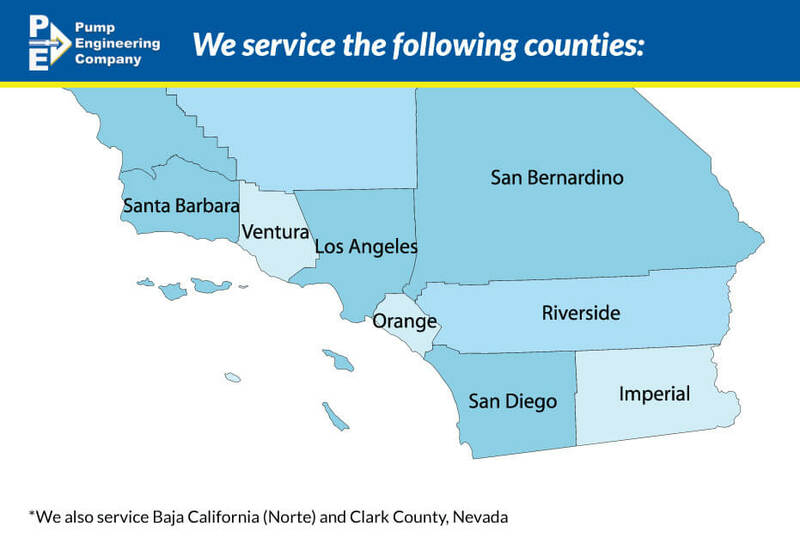 We have been providing maintenance, pump repair, and pump service for a variety of different pumps from many manufacturers in Southern California since 1946. Factory trained technicians with ample working experience & knowledge of fluid handling systems. Whether you have an emergency situation or if you have any further questions regarding our submersible pump repair and services, then please contact us @ 800.560.7867 or conveniently fill out our online contact form.